Thailand News: Maldives man found with 800 grams of heroin at Don Muang airport. 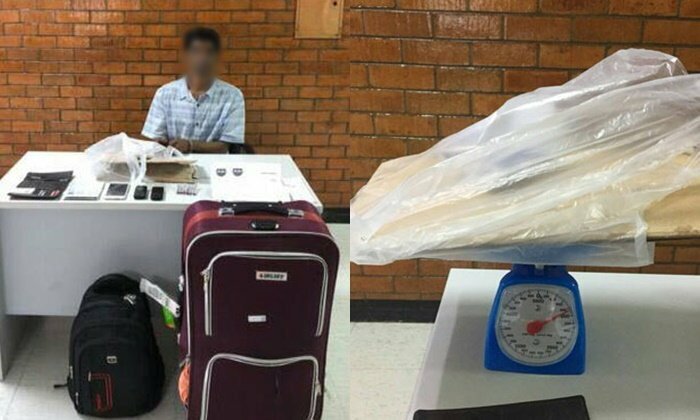 Maldives man found with 800 grams of heroin at Don Muang airport. Sanook reported that a Maldives national was arrested at the departures terminal of Don Muang airport yesterday by drugs suppression police. Some 800 grams of heroin was found in the bags of Adam Salia, aged 43. The cops said he was in transit to Malaysia and was then believed headed for Sri Lanka. He has been charged with possession of Class 1 drugs with intent to sell and exporting drugs out of the country. The police are expanding their inquiry in relation to the matter, said Sanook.